A book released earlier this year promises to guide readers “through Bermuda from the 60′s right through to 2014″ through the author’s eyes and experiences, providing a personal modern history of the island. The book, titled The Light Switch: As the Light Turns, Things Change was written by Angela R B Browne, with illustrations and photography from Semora N B Browne, illustrations from Tyahn O E Browne, and photography from Kim Minors and Rodney Trott. The book’s synopsis says, “This book will take you through Bermuda from the 60′s right through to 2014 with a view from my eyes, using my experiences. “It will give you pictures as well as art work that will give you a visual of not only what I am talking about but also what I see. “Read the poetry which is always expressed from the heart and the passion of the writer, read the story and see if you can relate or go on the ride with me, view the pictures and capture the beauty of Bermuda, then and even now as its beauty doesnt switch like the light but some of its people, cultures, morals and perspectives have. 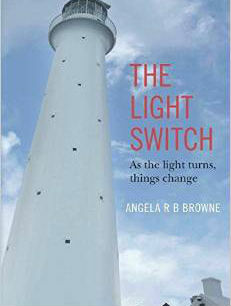 Wishing you all success with this book that’s titled “The Light Switch: As the Light Turns, Things Change” which was written by Angela R B Browne, with illustrations and photography from Semora N B Browne, illustrations from Tyahn O E Browne, and photography from Kim Minors and Rodney Trott.